You know what’s funny? Our political candidates. I had a chance to watch him be honored at this year’s annual Mark Twain Prize for American Humor sponsored by Capital One (thanks for the tix, guys! ), and with all the guest comedians that showed up I hadn’t laughed that hard in quite a while. 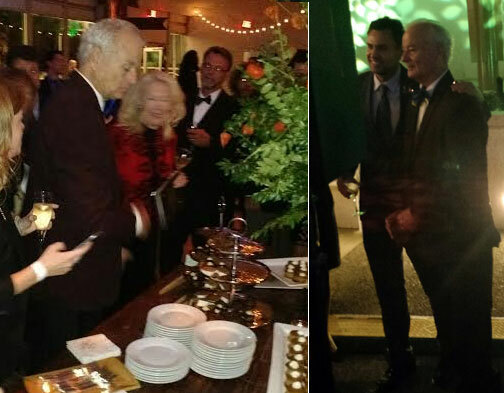 Jimmy Kimmel was there, along with Bill Hader, Aziz Ansari, David Letterman! !, and Miley Cyrus – who made both a surprise appearance and a surprise flub – forcing her to re-sing her entire act over again which was all kinds of confusing… (though admittedly, she actually had a decent voice!). As fun as the evening was though, this post isn’t about Bill Murray or Miley’s singing or any of that glitz. It’s about getting as much as we can out of life, and using *our finances* to help make it happen. 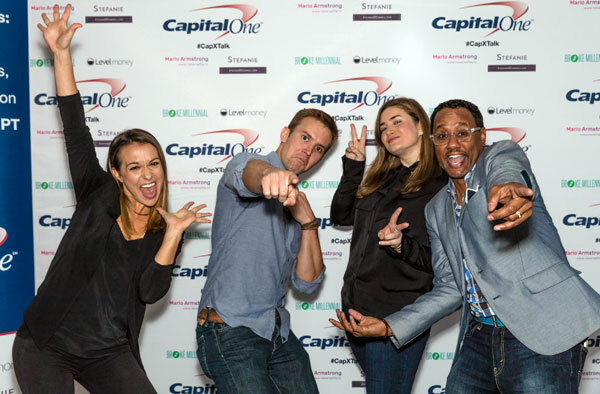 A few weeks earlier a different event held by Capital One occurred – #CapXTalk: Reimagining Finances – and they brought in a bunch of popular millennial bloggers to explore the roles that technology and money play in our day-to-day lives. And particularly, how we should be thinking about it all as companies connect to an ever-changing consumer. I love this one because it’s such a great reminder of what *money* is for at the end of the day: to improve our quality of life. It’s a very emotional thing, and the more we talk about what it can buy in terms of happiness, the better. It doesn’t always have to be about “stuff” all the time! I just got off a Skype session talking to a college class about blogging and building stuff online, and at the end of it the professor (who you may also know!) asked me to give one last piece of advice before I left. I rambled on about a bunch of stuff, but the main focus I kept coming back to was to *take risks now* and work on the stuff you dream about while you’re young and don’t have to answer to anyone. Yeah it’s not the greatest financial-wise starting out, but if you can a) get used to living on less and b) pour your heart into something you actually *care* about, then the odds go VERY MUCH into your favor that you’ll end up finding the income streams as it grows. Entrepreneurship isn’t for the faint of heart, but what better time to invest in yourself than right out of school?? True on SO many levels, and something Stefanie herself exemplifies if any of you know her from her blog, The Broke and The Beautiful Life (or, I guess now rebranded to StefanieOConnell.com). I wish every last person starting out in the workforce – or anyone really – would stop and engrain this into their heads because it’s so important! We don’t have control over everything, but we have a lot more than we tend to want to acknowledge! It’s no coincidence that the most popular articles on this blog come from our Side Hustle Series. People want to take ownership of their lives, and setting up multiple income streams puts you right on the path of acquiring it! It doesn’t matter how, or where, this income comes from so long as it’s legal (hah), but the truth is it’s all directed by US, and if we don’t take control of it no one else will do so for us. I love this so much because it *gives you permission* to spend some of your money, which is something that most financial “experts” rarely promote. But not only that, to do so in a way that’s more productive and aligned with your values. Tim Ferriss of 4 Hour Workweek fame recently made waves with this “wasting money” mentality, but I enjoyed Erin’s take on it more over at her blog, BrokeMillennial.com. If it sounds familiar, I also shared it on Rockstar Finance the other week. But in a nutshell, if you’re going to be spending your extra money anyways, why not put it towards better improving your quality of life? Not everything has to be saved or invested all the time – it’s okay to re-invest in yourself too. We make up our own futures and what we can – or can’t – do with them, and it’s made even easier by living in one of the freest countries of the world. We still have to FIGHT for what we want or else we’ll never achieve anything – financially related or not – but the potential we all have is just off the charts. How cool you got to be at the Kennedy Center! We watched it and had some great laughs too! Love this line – “the potential we all have is off the charts” – great advice for the start of a new week! Thanks for these reminders and little nuggets of wisdom. If I had the opportunity to give advise to college student I would have also suggested that they use that time to get adventurous and start learning how to pursue dreams. The older you get the more responsibilities you have and the harder it becomes to break off and do what you want to. I took the safe route and now that I have two kids and a house I have a much harder time convincing myself that I should branch out because it is more risky to drop everything to start something new but would take me away from the family too much to start something when I’m not at work. This is why I am so focused on hitting FI, so that I can have the freedom to branch off and pursue the dreams that I want. Good collection of wisdom. I especially like the bit about “No One in Charge of the World”. When I first entered the business world I viewed the people in the executive suite as something special. Something if I worked hard I might earn. Over the years what I learned is while they may make more then me they are not really in charge. Even they have bosses, and it’s just mo money more problems at that level so to speak. More politics, less time to spend with family, did I mention more work politics. I’ve since decided to step off the corporate ladder climbing about where I am now and be happy with what I have, I still work but I don’t need to be CEO to feel successful. The more experiences I read about in non-traditional jobs the more I wish I would have done something earlier – your advice to the classroom is spot on and something I wish was presented early and often. Me too! I has no idea how many different – non-9-5 jobs there were out there. I don’t know if I was entrepreneurial enough back then to go for it, but it certainly wasn’t something talked about much growing up… It was always – get good grades, go to college, get a 9-5 job. Still very much believe in college, but if I could go back (and had my same brain now!) I totally would have done things differently. Love Bill Murray and love the Kennedy Center. 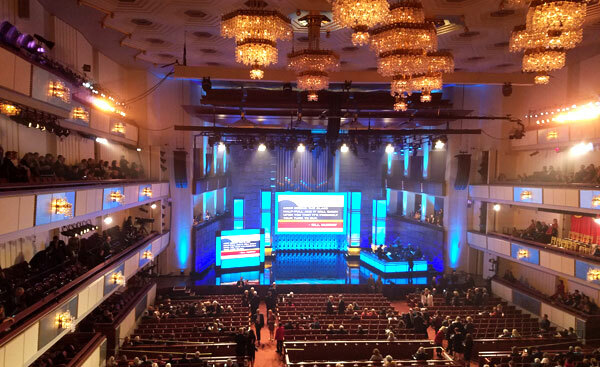 (My wife and I went to see John Oliver at the Kennedy Center recently and I was surprised that comedy actually works in such a large and formal venue.) The little trampoline idea is an interesting one to turn over in your mind. On the “Nobody’s in charge” and “There are no rules” ideas: I recently listened to an episode of Malcom Gladwell’s revisionist history podcast (http://revisionisthistory.com/episodes/03-the-big-man-cant-shoot) that talked about how sometimes the people that are the most successful are the ones that can step back and challenge the rules and the way everyone else does things. I’m so glad you wrote about this event! Being a Chicago native I love me some Bill Murray. And I love the perspective that there are no rules! I used to take the term “beats to her own drum” as a negative but now I am proud to be where I am rockin my own tune! Also, ING used to be what Capitol One is now. I don’t know if they were acquired or how it went down (I’m guessing someone here does) but when it was ING I worked at their first bank cafe in Chicago…for a week. It turns out banking and 9-5 weren’t a good fit for me. :) I’m glad to see they are revamping that idea. As I remember, wifi was free and coffee was cheap…it may be the next Starbucks for finance folks! Totally forgot about ING too! Used to be the hot spot back in 2008/2009 when I first started blogging. I absolutely agree that it’s important to talk about what makes people happy in addition to crunching the money numbers. Sometimes I feel like it’s off-topic to start talking about happiness, or friendship, or marriage, but in the end people want to know how to be happy. And as you’ve said many times, money is just a tool that can facilitate that goal. So it’s not really off-topic at all! So glad to hear, PP :) And I of course agree! The whole college degree leads to a solid 9-5 which leads to 40 years of work, retire and die was so ingrained in my head when I was in my 20’s and early 30’s. I didn’t even consider doing something different or starting something of my own. Now, I do believe it’s never to late to start, but I do wish I had known then what I know now. I love that you (and the others mentioned here) are encouraging young adults to take risks and realize their potential. Great write up and important reminder on what we can achieve with the right mind set. Now the only place I don’t want to see that trampoline bouncing hard is the S & P 500 chart. I’ll take a boring and gentle slope upward there! I wish I was in on that skype session you had with those college kids. Would love to hear more of YOUR nuggets (though I guess I get to read them 3x/week ;) ). Thanks for sharing mine! This content is good and all, but it loses some of its shine when I realize it’s sponsored by a big bank. 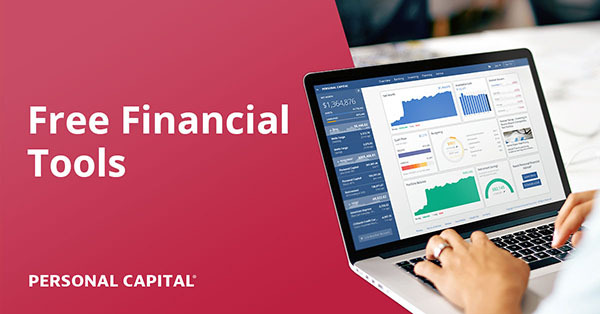 I’ve seen Capital One sponsored posts on a number of sites recently. It seems like they are making a big push for the blogging crowd. Yeah, lots of banks/products/services trying to get our attention as bloggers (and smartly too :)). I turn down approximately 97% of all offers that come across this desk, but if it’s something I like and fits well w/ my audience – especially from a company I use myself – I’ve got no problem spreading the word… Most of which I’d have done for free anyways – hah. Sounds like an awesome event! I’d love to see Bill Murray live and sounds like he had a great message. If everyone spread a little more joy every day the world would be quite a better place. I also like your message to the class, being more adventurous and willing to take risks young. A piece of advice I’d want to give is to develop positive habits young. Habits have a tendency I’d sticking and starting good financial habits early can make a huge difference throughout their long lives. That’s rad that you got to see Bill Murray. His character in Caddyshack is still one of my all time favorites. Hey, Lama! Well that’s still pretty cool! What bank is it? I love the Kennedy Center so much! How cool that you were able to hear about the little trampolines inside of us all. What an opportunity. Bill Murray is a national treasure. Wow the fact that you got to be a guest really shows a testament to how far you’ve come, J$. Truly inspirational! I’m hoping those college kids really took your advice. I know when I was in college and I had a guest speaker, it was more about how interesting the speaker was rather than what I could learn from the speaker. Hopefully they realize taking your advice makes them better than 99% of the people in the world! Same here when back in school :) I did my best to keep it real and *exciting* for them, so hopefully it helps! Sometimes you just need to hear it from someone else – and particularly those around your same age or at least ideals. I always feel that little trampoline in my stomach after a meal at taco bell. The trampoline image is powerful. Coincidentally, I just referenced Groundhog Day yesterday…serendipity or the trampoline effect? No one will ever know. Very cool that you were addressing a class (in the UK?) recently. I think they were able to relate to a guy in his thirties BECAUSE of the mohawk. So nice that you’re doing that kind of stuff. “Your income is driven by YOU, not just your employer” – Stefanie O’Connell. So true, even within your current company, if it’s big enough. To HR’s dismay, I hunted for the jobs I wanted in the company and negotiated my salary. Salary ranges be damned! Anything is negotiable, as long as the other party wants what you’re offering. I like the “Nobody’s in charge of this world” quote. Because it’s true. The only limits are the ones you put on yourself. This post is the same sentiment that has been heavy on my mind for weeks now. Recently I have been acutely aware of people who aren’t doing things they should do or say they want to do because of other people. They are pointing fingers at other people saying “well, I smoke because you stress me out” or “I don’t care about saving money because you aren’t doing what I want you to do” —- These are things that I have actually heard and it infuriates me. This post again reinforces that you should look around you, be happy you’re alive and healthy, appreciate it and do what makes you happy. I went on such a tangent – I apologize! Cap1 has has cafe banks in Boston for years now. There are really no rules. It’s up to us what kind of life we’ll have and what money decisions we do. Congrats on being honored, that is amazing! I loved all the quotes you mentioned, especially “We need to not only talk about numbers when it comes to money, but the things that make people happy”! It is important to budget and save money, but your happiness and mental health are both important too! The reason why I resigned is to be a freelancer so that I can drive or determine how much I earn because when I was working for an employer, I always got the same income every month. When I became a freelancer and set up the range of income I could earn and which is higher, I felt I made the right decision. Next post: Self Lender Review: A Way to Build Credit Through Saving?